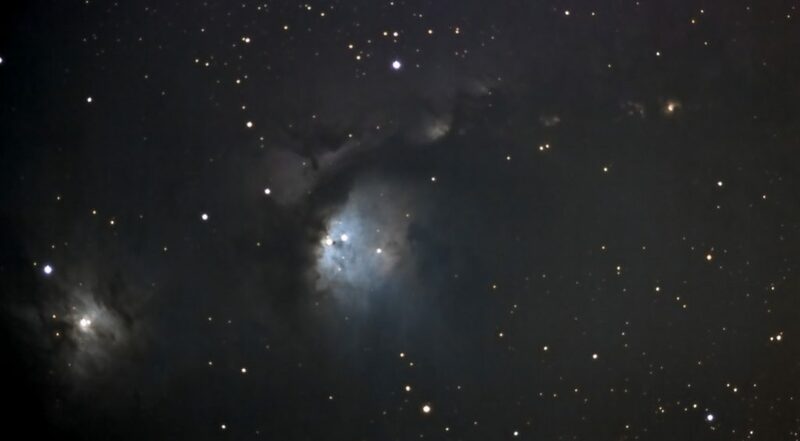 Messier 78 is a reflection Nebula located in the constellation Orion. It is part of the Orion Molecular Cloud Complex, of which contains the Orion Nebula, the horsehead and flame nebulae, M43, and Barnard’s loop, among others. 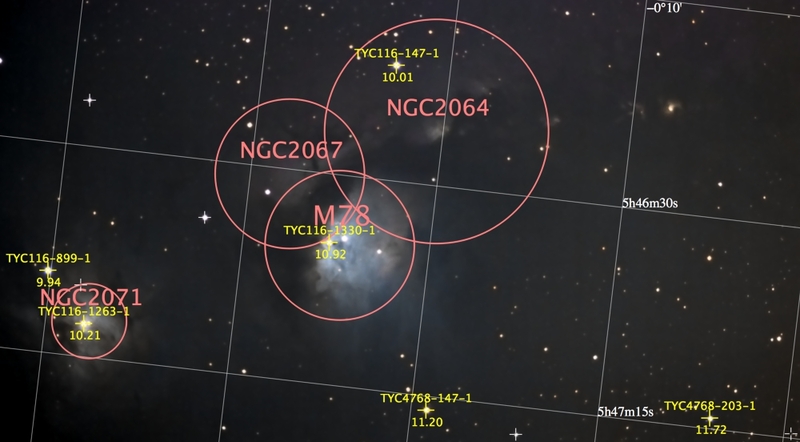 As the annotated image below denotes, M78 is the brightest nebula in the image, which also contains the catalogued nebulae of NGC 2067, NGC 2064, and NGC 2071. The nebulae in the image are located approximately 1,600 light years distant from Earth. The dark clouds of gases and particles are lit by a couple of 10th magnitude stars, which illuminate the dust and make it visible in the image.